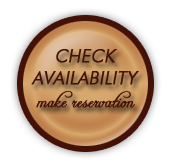 Rates can be found by clicking on the "Check Availability make reservation button above"
Please call to make weekly reservations (they currently cannot be booked online)! All cabins include showers, hot and cold water, carpeting, towels, linens, fire ring and picnic table. Firewood is provided - $8 per night. Swimming Pool and Gift Shop on premises. No checks accepted at check-in. 2 night minimum rental on weekends. 3 night minimum rental on holiday weekends. Major credit card and first night deposit required for all reservations. Checks accepted for advance deposit ONLY. 72 HOUR NOTICE FOR ALL CANCELLATIONS. $15 cancellation fee per cabin. pets at $5 per night/per pet (no cats, please). Guests are required to cleanup after your pets. 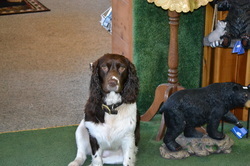 Additional fees may be charged to guests who do not cleanup after pets.